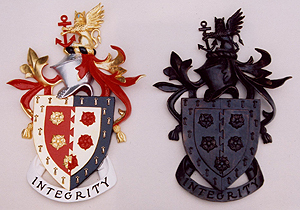 Family Coats of Arms and Crests; individually carved and painted Coats of Arms and Crests by Heraldic sculptor Ian G Brennan. 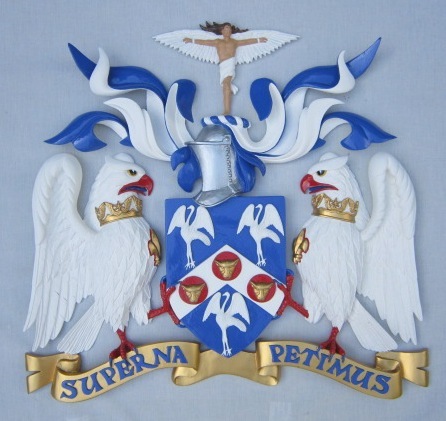 Ian G Brennan; Sculptor to the Most Noble Order of the Garter and Most Honourable Order of the Bath; has been a professional Artist, Woodcarver and Sculptor using a wide variety of different materials, including wood, marble resin, sterling silver and bronze for over thirty years. 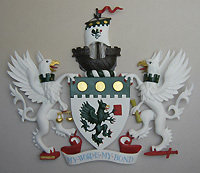 Heraldic Sculptor Ian G Brennan has been commissioned to create a wide variety of unique sculptures including many carved and painted Coat of Arms and Crests for Family and Corporate Clients, the Nobility and Royalty from all over the World. 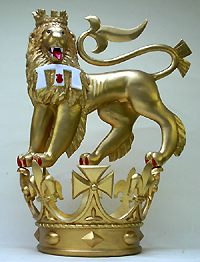 During the past three decades Ian GB has created in three dimensions over one hundred and thirty unique heraldic sculptures for the British Royal Household, including a number created directly for The College of Arms in London which is one of the few remaining official heraldic authorities in Europe and is not only the official heraldic authority for England, Wales and Northern Ireland but also much of the Commonwealth including Australia and New Zealand. 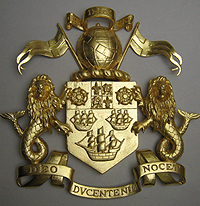 Ian's carved, painted and gilded Coats of Arms and Crests have been installed in such diverse places as Windsor Castle, Westminster Abbey, St Paul's Cathedral, The College of Arms, Museums, Government Buildings, Company Receptions, Board Rooms, HMS Victory, Cunard Ships, Public Places and both Stately and Private Homes all over the World. 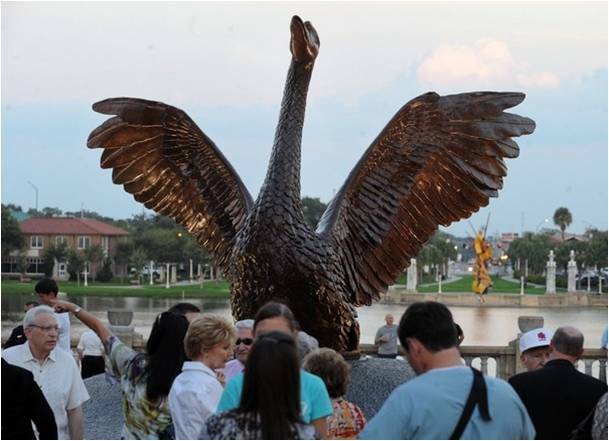 These commissions have included creating a wide variety of unique sculptures for Three British Prime Ministers and over twenty-five British and European, Kings, Queens, Princes, Princesses, Earls, Lords and Emperors. 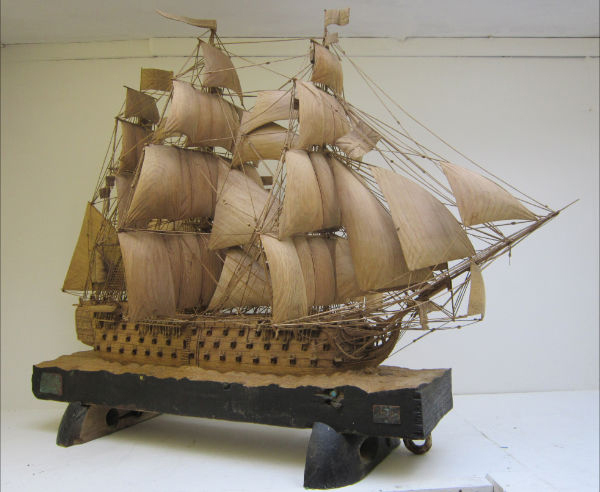 Examples of Ian’s sculptures can also be found on book and magazine covers and also on a set of Royal Mail Postage Stamps featuring Windsor Castle issued in 2017. 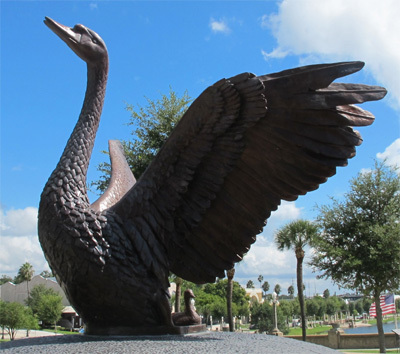 Sculptor Ian G Brennan has exhibited his work in such diverse venues as Art Galleries, Museums and during 1990 the Museum Service in England toured a large collection of his sculptures as a 'one man' exhibition to various museums throughout the year. Ian has also exhibited his work in the Queens Room on the QE2, Burlington House; Home of the Royal Academy of Arts and also within the Historic Royal setting of St George's Chapel and even the dungeons of Windsor Castle, where he has also been invited to give talks about the various aspects of his work. 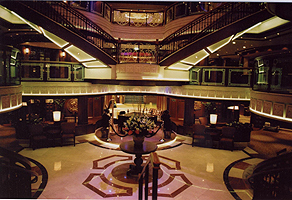 Since 1992 Ian has regularly been invited as a Guest Speaker on-board the QE2 and the three latest Cunard Queens. Ian G Brennan - Warsash - Hampshire. UK. SO31 9GN. 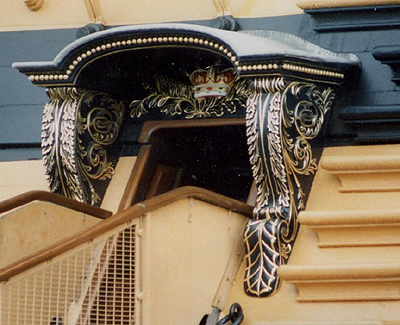 These webpages include a photographic record of all the carved, painted and gilded Royal Crowns, Coronets and Crests which have been placed in St George's Chapel in Windsor Castle and Henry VII Chapel in Westminster Abbey since 1989. Commissioned for the latest Royal Knights, Knight and Ladies of the Most Noble Order of the Garter and the most senior Knights Grand Cross of the Most Honourable Order of the Bath. Using photographs taken many shows how Ian has created a number of these Crowns and Crests transforming often ancient and historic two-dimensional designs into unique three-dimensional carved and painted Heraldic Sculptures. 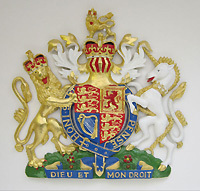 Heraldry is often seen as an ancient exciting picture language using stunning images, vibrant design and visual colour, incorporating a glorious mêlée of signs and symbols which are frequently chosen not only to reflect the life but also the career of the person concerned. 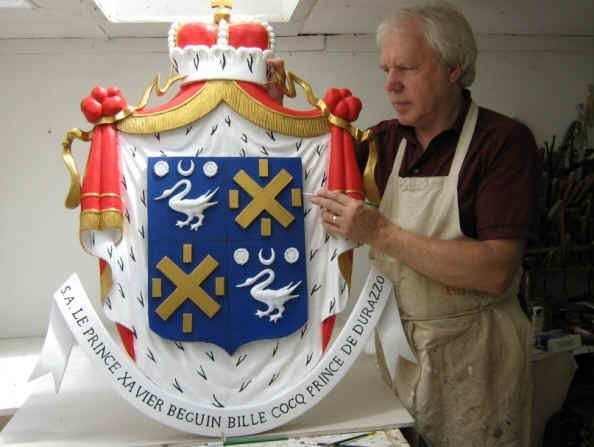 Although Heraldry is viewed by many today as an ancient art form, its images are as strong and relevant today as they were in the Middle Ages. 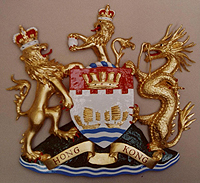 All over the World Heraldic Arts traditional striking designs of realistic and fanciful creatures are often borrowed and turned into successful Corporate trademarks and modern logos. Outlined here are some examples of heraldic sculptures Ian G Brennan has created during the past thirty-five years and although only a selection of these sculptures Ian has created for private clients and particularly the Royal Household are shown on this website, it does however give an idea of the wide variety of unique heraldic sculptures he has been commissioned to create in both bas-relief and three dimensions during this period. 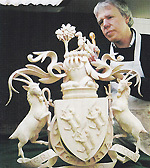 In 1989 Heraldic Sculptor Ian G Brennan was officially appointed ‘Sculptor to the Most Noble Order of the Garter and the Most Honourable Order of the Bath’ and since that time Ian spends an average of five months of each year on a wide variety of unique commissions in both wood and bronze for the British Royal Household. 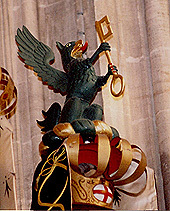 For the past thirty years many of commissions from the Royal Household have included creating in three-dimensions all the carved, painted and gilded Crests for the latest Knights of the Most honourable Order of the Bath which was first established in 1725; along with creating all the Royal Crowns, Coronets and Knights Crests for the latest Ladies and Knights of the Most Noble Order of the Garter which was first established in 1348. 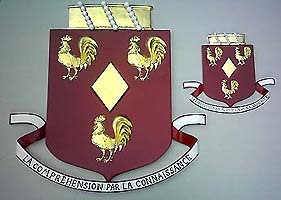 These are two of the oldest and highest Orders of Chivalry in the World and records show that Ian G Brennan has individually created more of these unique sculpted Heraldic achievements than any other person since records began and continues to do so today. 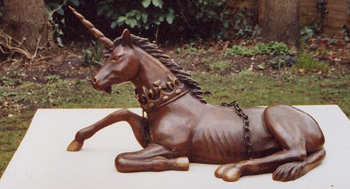 Currently there are over seventy of Ian’s sculptures on public display in the ancient and historic settings of St Paul’s Cathedral, Henry V11 Lady Chapel in Westminster Abbey and St George’s Chapel, in Windsor Castle. These Heraldic commissions vary from gilded Crowns and Coronets, to carved and painted Crests and Coats of Arms produced in high bas-relief and three dimensions. 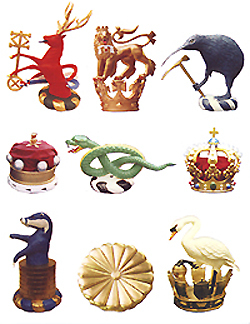 Shown below are a small selection of the 118 Royal Crowns, Coronets and Crests created by Ian GB which were commissioned by the Royal Household during the past thirty years and placed on display in Henry V11 Chapel in Westminster Abbey and St George’s Chapel in Windsor Castle. 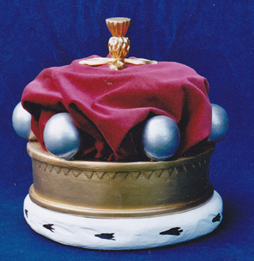 The carved and gilded Crown for King Felipe V1 of Spain Ian completed twenty-nine years after he produced the Crown for King Felipe’s Father, King Juan Carlos. 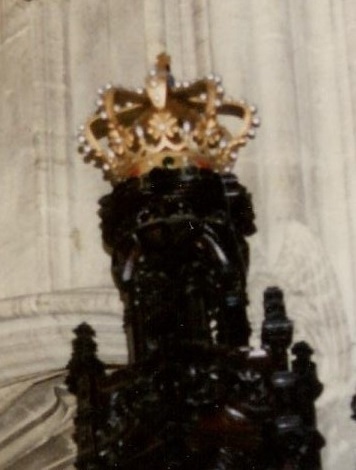 It is exceptionally rare since the Order of the Garter’s foundation 1348, for two identical carved, painted and gilded Crowns to be displayed in St George’s Chapel Windsor at the same time. 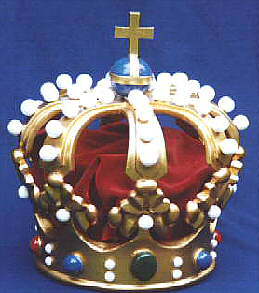 King Juan Carlos Crown was produced by Ian in 1989 along with King Felipe V1 of Spain’s Crown completed and placed in St George’s Chapel during May 2018. 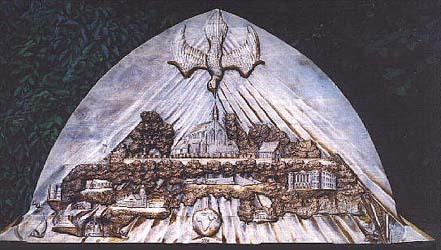 Later that same year Ian was also commissioned to create the Crown for King Willem-Alexander of the Netherlands to be placed in the Chapel alongside the Crown Ian produced for Queen Beatrix of the Netherlands thirty years earlier. 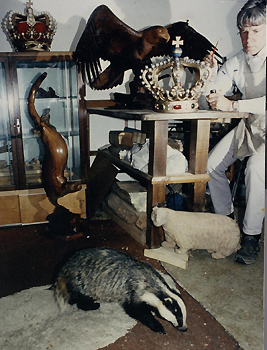 Ian shown in his studio working on the Crown for HM Queen Beatrix of the Netherlands in 1989. 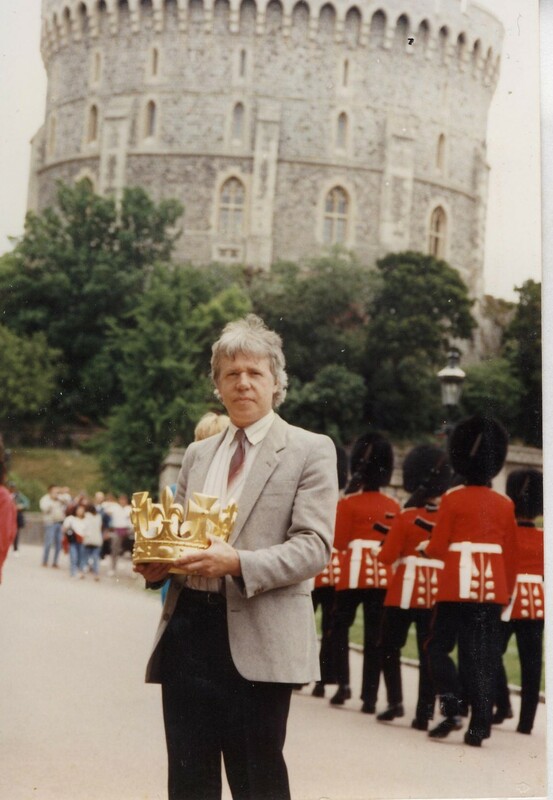 The Crown for HM King Juan Carlos of Spain shown in the background also awaiting delivery to Windsor Castle. 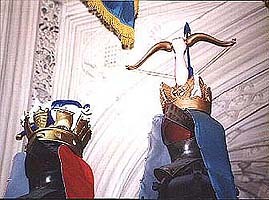 – The two Crowns now placed in position in St George’s Chapel. 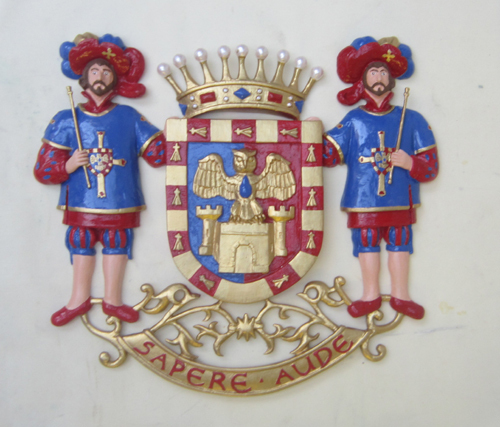 King Felipe V1 of Spain’s Crown in Ian’s studio during 2018, being worked on along with various Crests at the early carved stages, including four of the sixty-three carved and painted Knight of the Bath Crests Ian has produced for Westminster abbey since 1989. 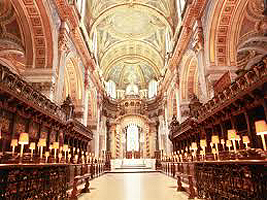 During the Royal wedding of Prince Harry and Meghan Markle; The Duke and Duchess of Sussex in St George’s Chapel in Windsor Castle, thirty-two of Ian’s carved painted and gilded Crowns, Coronets and Crests commissioned by the Royal Household were on display either side of the aisle within the Quire of St George’s Chapel..
During the Royal wedding of Prince William and Catherine Middleton; The Duke and Duchess of Cambridge in Westminster Abbey, thirty-four of Ian’s carved and painted Crests also commissioned by the Royal Household were on display in Henry V11 Chapel. 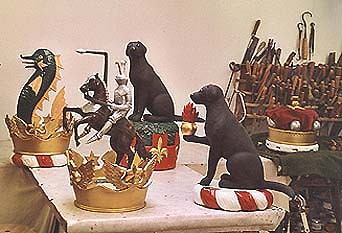 The wide variety of the 127 commissions Ian G Brennan has received from the Royal Household during the past thirty years can be well illustrated when during one period alone Ian was commissioned to create more realistic sculptures such as a Knight in Armour on Horseback, a Hawk, Labrador and Mute Swan. 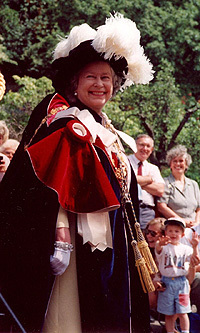 On St George’s Day at Windsor Castle in 2005, Ian was also informed by HM The Queen that HRH Prince William; The Duke of Cambridge, was to become the 1000 Knight of the Garter to hold this the highest order of Chivalry since 1348, Ian was later also commissioned to produce Princess Williams Royal Crest and Sword. 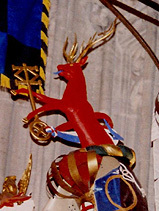 HRH Prince William’s The Duke of Cambridge’s Royal Crest – The Prince’s Crest and Sword in St Georges Chapel Windsor – the small red escallop. 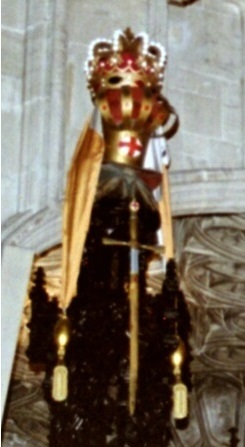 HRH Prince William’s Royal Crest and Sword made by Ian G Brennan now placed upon the Prince’s helmet in St George’s Chapel Windsor Castle. 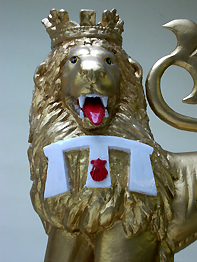 As the second in line to the British throne; Prince William of Wales like his father the Prince of Wales, also uses a white label of three points but in addition on the lion is a small carved red ‘escallop’ to honour the memory of his mother Diana, Princess of Wales. The decision for Prince William to recognise his mother this way is a break with tradition as it is highly unusual for members of the Royal Family to include maternal symbols in their heraldic emblems. 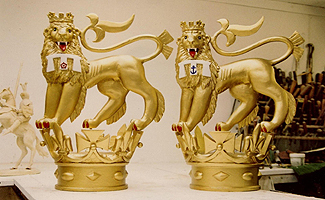 Shown below; Heraldic Artist Ian G Brennan's carved and gilded Royal Crests and Coronet ; The Crests which were commissioned for the most recent Royal Knights to be awarded this the most senior Order of Chivalry, the Most Noble Order of the Garter. 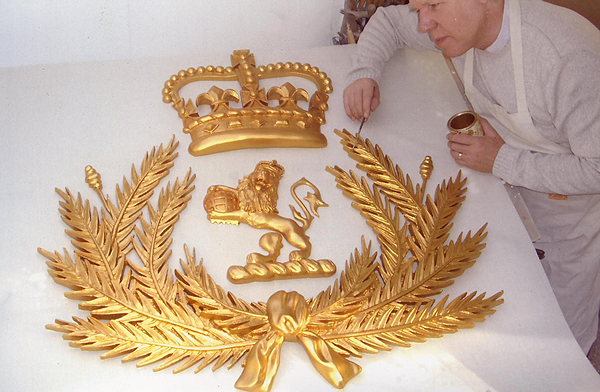 These three carved Crests for HM The Queen's sons Prince Andrew, The Duke of York and Prince Edward, The Earl of Wessex and the Queen's grandson HRH Prince William, recognises their seniority within the Royal family; joining their mother, The Sovereign HM Queen Elizabeth II, father Prince Philip, The Duke of Edinburgh, brother Prince Charles, The Prince of Wales and sister Princess Anne, The Princess Royal. 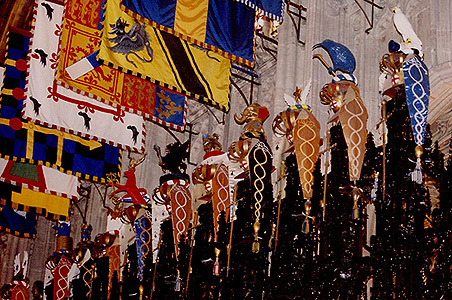 For a panoramic view of many of the Royal Crowns, Coronets and Crests created by Ian G Brennan commissioned for the Royal Knights, Knights and Ladies of the Most Noble Order of the Garter in St George’s Chapel Windsor Castle. Please click here. 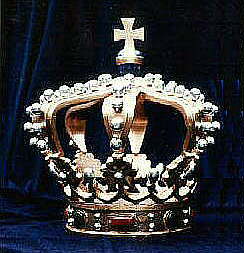 for the Royal Knights, Knights and Ladies of the Most Noble Order of the Garter which were placed in St George's Chapel in Windsor Castle. Lord Butler of Brockwell – His Imperial Majesty Emperor Akihito of Japan – Sir Edward Heath. 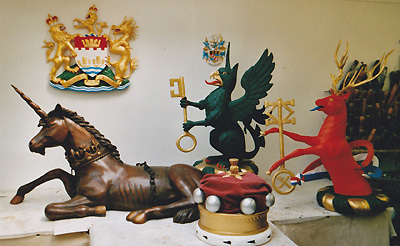 The carved Coronet and Crests for a Lady and Knights Companion of the Most Noble Order of the Garter along with four carved Crests for the most senior Knights Grand Cross of the Most Honourable Order of the Bath, in sculptor Ian G Brennan's studio awaiting delivery to Windsor Castle and Westminster Abbey. 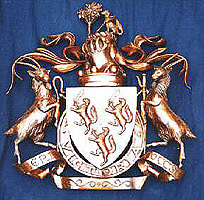 They include the Coronet for Lady Soames, daughter of Sir Winston Churchill and Crests for the former British Prime Minister Sir John Major (Stag) and the former Lord Chief Justice, Lord Bingham of Corhill (Griffin) for further information Garter Crests. Bath Crests. 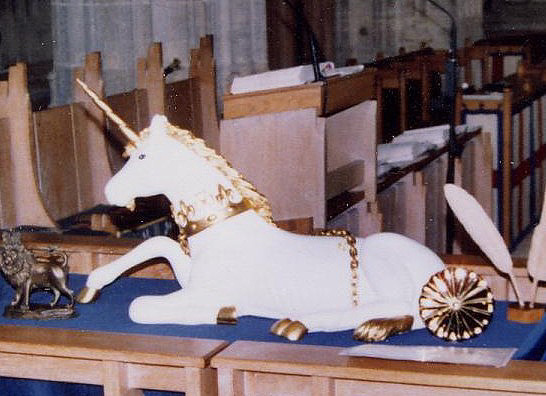 A selection of the 118 carved, painted and gilded Crowns, Coronets and Crests placed in St George’s Chapel Windsor and Henry V11 Chapel in Westminster Abbey Ian has created during the past thirty years. 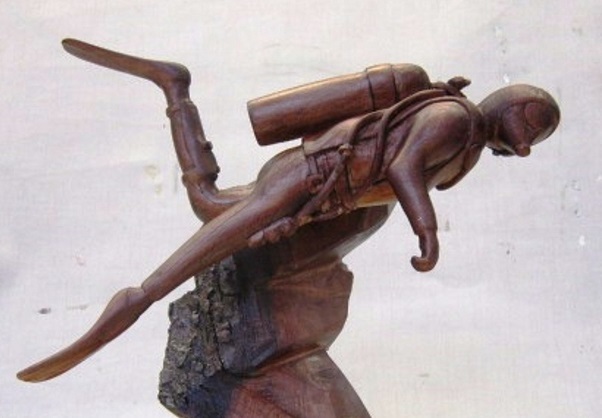 A small example of Ian GB large and small wood carving and bronze sculptures. 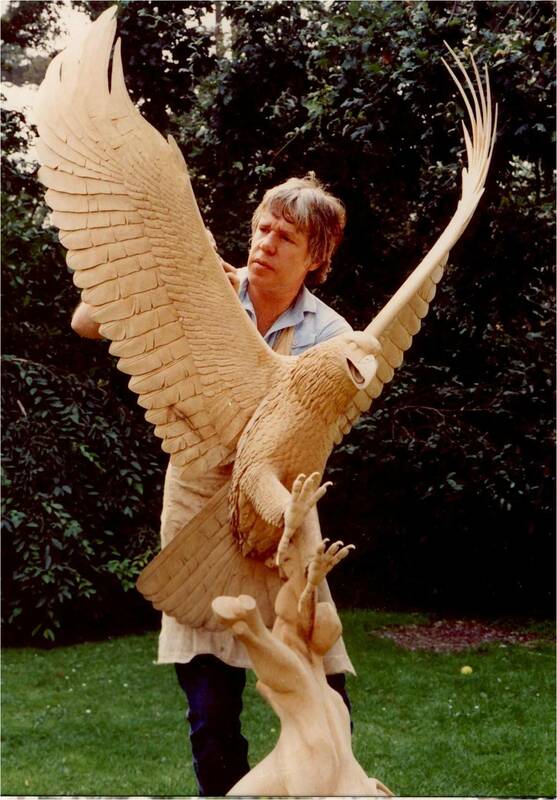 Bald Eagle carved from within the fork of a 100-year-old Lime tree. For further details and stage photographs showing how both Cunard bas relief sculptures were produced; please click appropriate photographs. 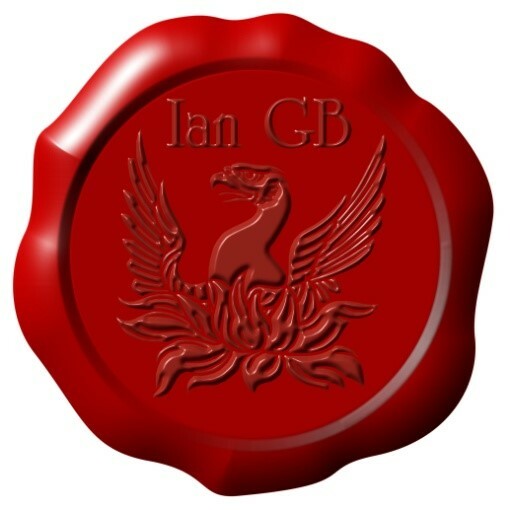 Ian G Brennan: Warsash nr Portsmouth – Hampshire. UK - SO31 9GN. 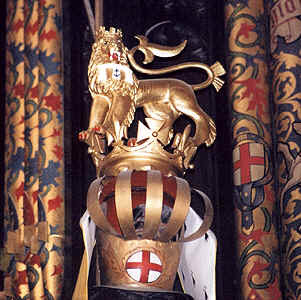 Photographs taken in St George's Chapel Windsor Castle by Ian GB are used with the kind permission of The Deans and Canons of Windsor, permission for further use of these images must be sought from the Chapter Office, The Cloisters, Windsor Castle. Photographs taken in Henry V11 Chapel Westminster Abbey by Ian GB are used with kind permission of The Dean and Chapter of Westminster, permission for further use of these images must be sought from the Chapter Office, Westminster Abbey, 20 Dean's Yard. London. Disclaimer - Terms and Conditions. Copyright © 2018 Ian G Brennan, all rights reserved.